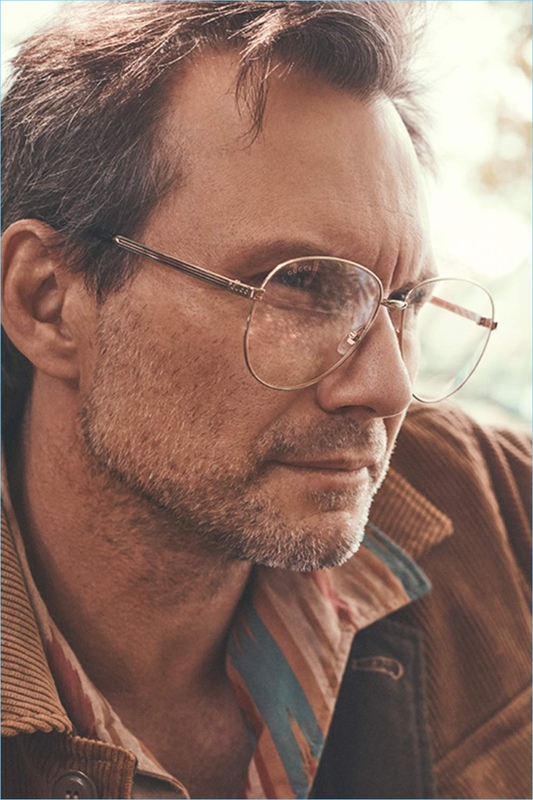 Actor Christian Slater sports an Aspesi corduroy jacket, Battenwear shirt, and Gucci glasses. 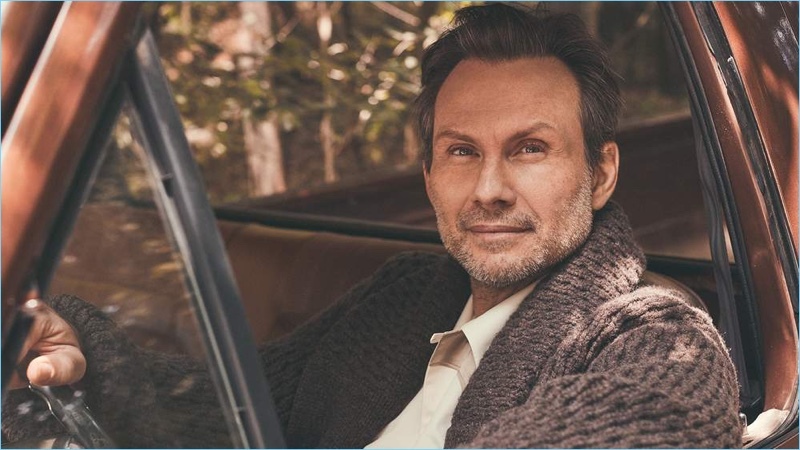 Christian Slater promotes his new movie The Wife with a new Mr Porter feature. 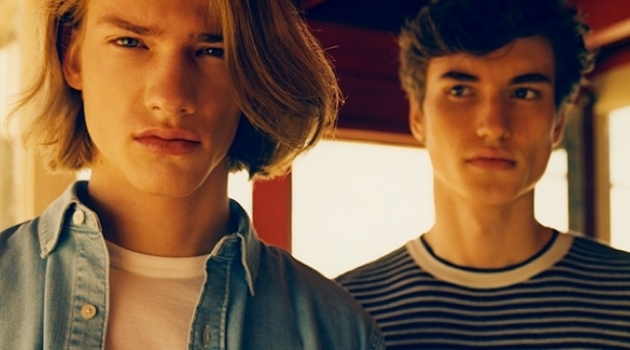 Stefano Galuzzi photographs Slater while Dan May handles styling. 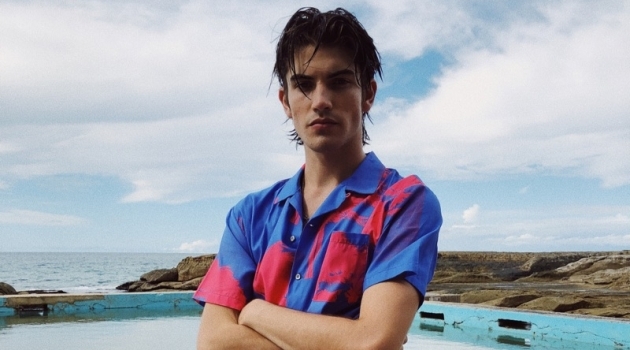 Embracing nature for the outing, Slater wears a casual wardrobe that includes brands such as Oliver Spencer and Maison Margiela. Slater discusses settling down as he gets older. I think, as you get older, you get a bit more settled into who it is you want to be, says Slater. So when I get behind the closed door of my house, I have my chores. I do the dishes. I take the garbage out. I have my responsibilities. I show up for my kids. I try to be the best husband that I can be. I try to be a good, open, communicative partner. And at work, I choose to focus on people who take the work seriously, but don’t take themselves seriously. 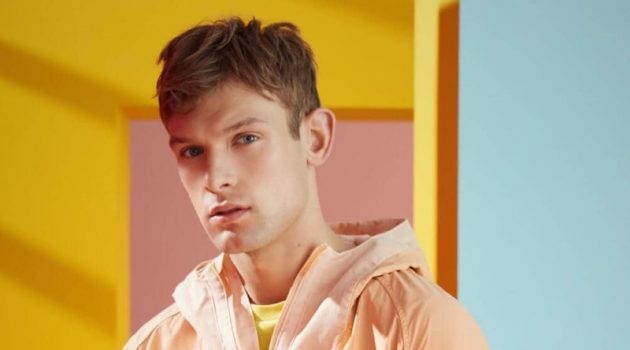 Read more at MrPorter.com. 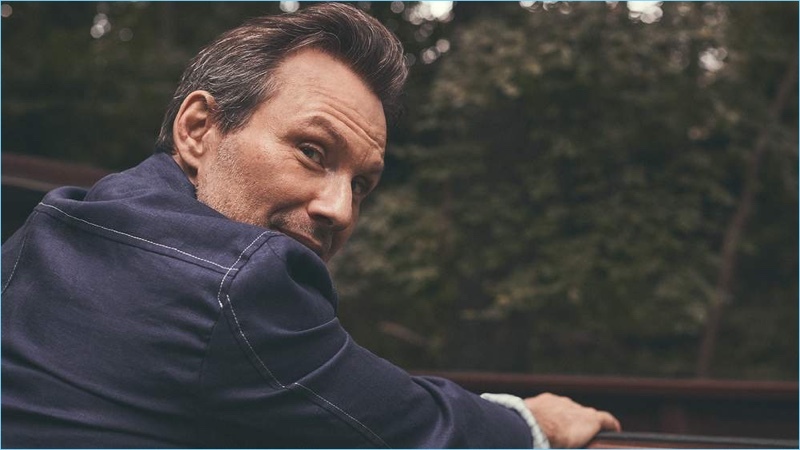 Christian Slater wears an Oliver Spencer linen bomber jacket. 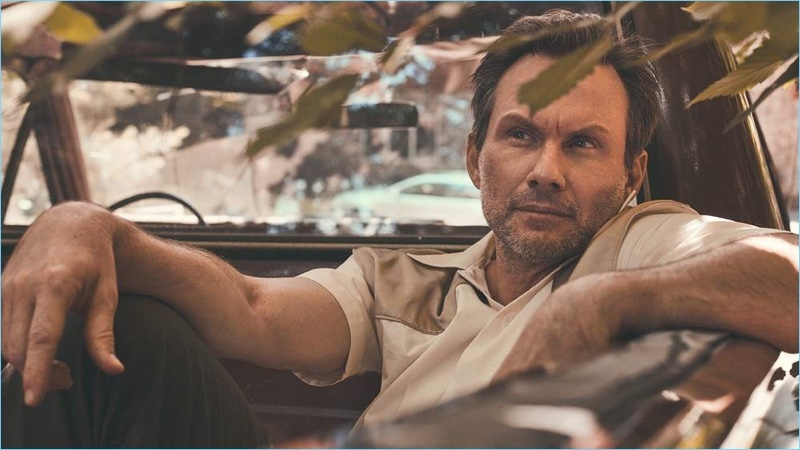 Relaxing, Christian Slater wears a Maison Margiela shirt and Maison Kitsuné trousers. 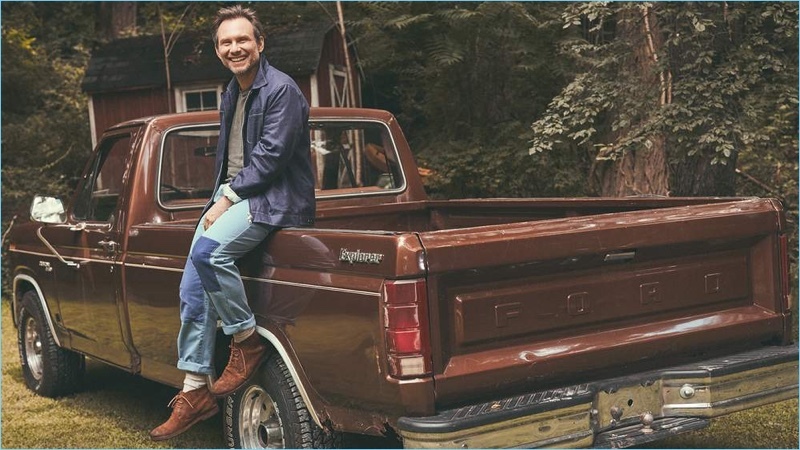 All smiles, Christian Slater wears an Oliver Spencer linen bomber jacket, Enlist t-shirt, and Officine Generale pants. He also sports Marsell Chukka boots and Beams Plus socks. Connecting with Mr Porter, Christian Slater wears a Lanvin cardigan, Patagonia vest, Mollusk shirt, and Holiday Boileau t-shirt. 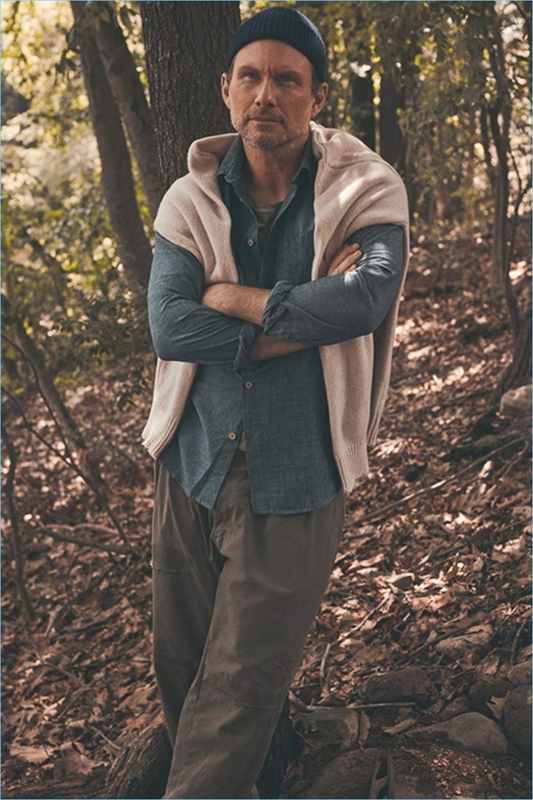 Venturing outdoors, Christian Slater wears a Maison Margiela sweater, Folk chambray shirt, Enlist t-shirt, Beams trousers, and a beanie by Anderson & Sheppard. 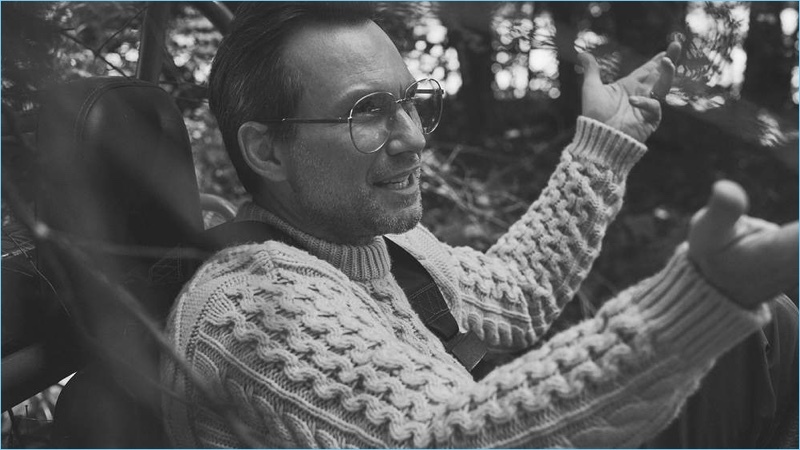 A smart vision, Christian Slater dons a Brioni cable-knit sweater and Gucci glasses. 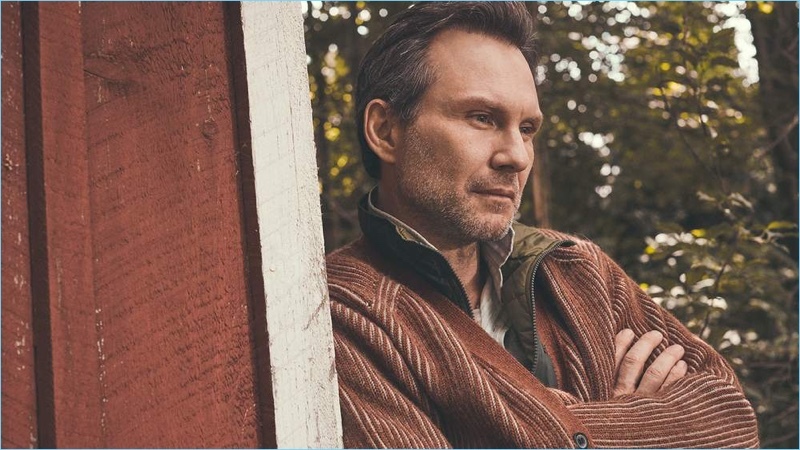 Sporting a Brioni shawl-collar cardigan, Christian Slater also wears a Maison Margiela shirt.